Hundreds of thousands of undocumented immigrants are collectively holding their breath, anxiously waiting to see if the fallout from the partial government shutdown will help them stay in the United States and one day become citizens. CLEARWATER, Fla. — Hundreds of thousands of undocumented immigrants are collectively holding their breath, anxiously waiting to see if the fallout from the partial government shutdown will help them stay in the United States and one day become citizens. Bella Rincon is one of the more than 800,000 dreamers: a group of undocumented immigrants that received protections through Deferred Action for Child Arrivals (DACA) program. Rincon was born in Venezuela. Her parents brought her to the U.S. when she was 9-years-old. Rincon said she didn’t speak any English and was continuously bullied at school. Now, the confident and hardworking 28-year-old is fluent in two languages and running her own business. “Sometimes I look at myself here in the store, and I’m like ‘oh my God this is mine.’ I did this with my business partner and both put our sweat and tears into it,” Rincon said. 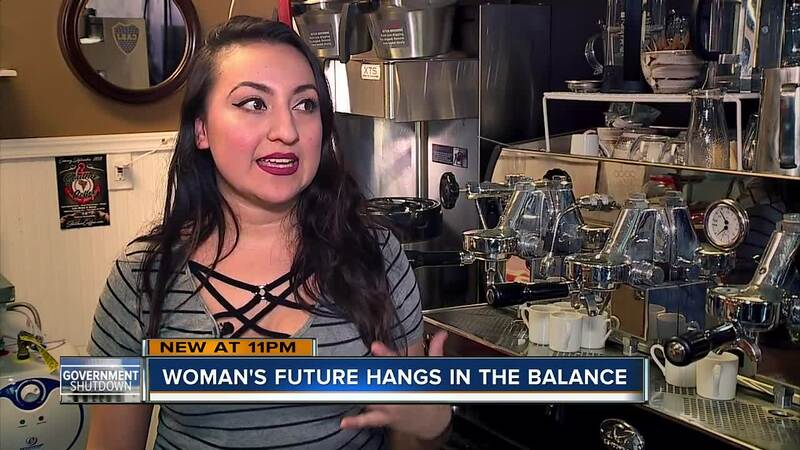 Three months ago Rincon and her business partner Steven Gonzalez opened Southie Coffee in Clearwater. Rincon and Gonzalez are a two-person team. They both worked two jobs to save up enough money to open the business. And they both still work two jobs seven days a week. “This is my home and just to think that everything I have could be taken away from me all of a sudden, just go back to a place that it is my home, but I don’t remember as my home, is very difficult,” Rincon said. In 2012, former President Barack Obama issued the executive order to protect children who were brought to the U.S. illegally. The status of dreamers is now in legal limbo after President Donald Trump announced in 2017 its plan to phase out DACA. “We are just like an American. We work hard, we pay our taxes, we are legal here pretty much,” Rincon said. “I feel like my story is inspirational, not only for dreamers but also for other Americans." Rincon said she agrees with border security and wants something positive to come out of the government shutdown for all of the undocumented immigrants and U.S. citizens. For now, she’s thinking about the past, present, and more importantly her future.